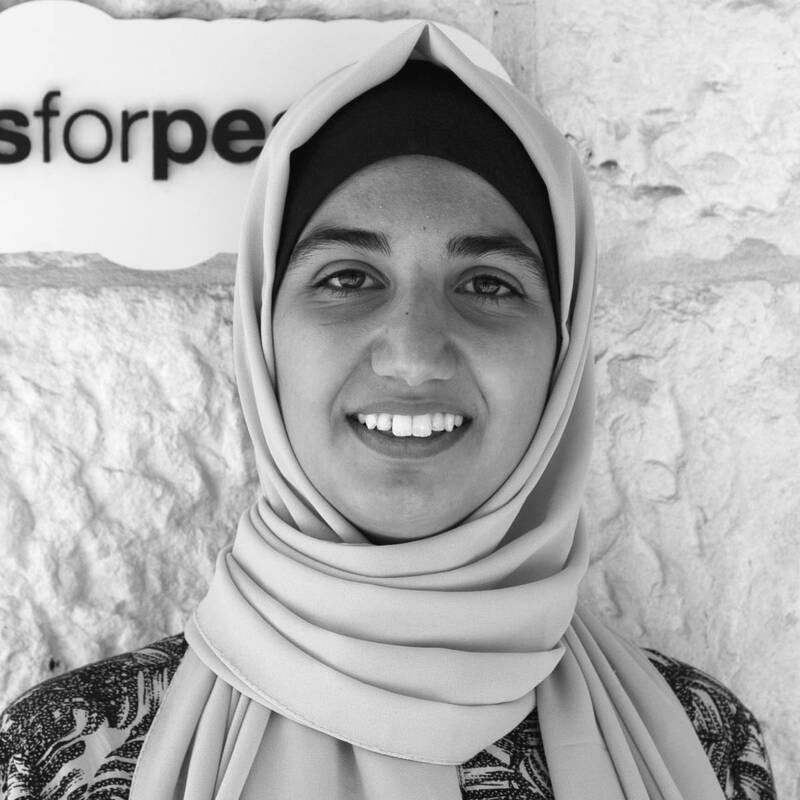 Shahd Almhameed joined Generations For Peace as a Programmes Intern in October 2018. In this role, she supports the implementation of GFP’s international programmes, with tasks such as assisting with day-to-day communications and logistical support. She also contributes to the development of relationships with local partner organisations in assigned programmes and countries, while liaising with lead Delegates/Pioneers regarding the design, implementation, and monitoring and evaluation of their programmes. Originally from Jordan, Shahd is a dedicated learner who ranked fourth in Jordan’s high school exam before studying Applied English at the University of Jordan. During her time there, she went on Erasmus+ exchange programme to the University of Cyprus, where she engaged in theatre and fiction writing. She additionally participated in a teacher’s literacy enhancement workshop at UCY Nicosia. Since then, Shahd has served as a Team Member at AIESEC before being promoted to Team Leader in the Outgoing Global Volunteer Programme. She was a teaching assistant to fourth graders at Al Jamia Schools Group and attended Introduction to Dialogue Facilitation by Sharing Perspectives Foundation. In her free time, Shahd writes short stories and poems, as well as about her personal experiences and travels on her blog. You might also find her watching videos of cats and pugs on YouTube.